Among the world’s oldest cigar brands currently in existence is the famed H. Upmann. As is often proudly displayed on the cigar’s bands, the name dates back to 1844, when German banker Hermann Dietrich Upmann purchased a Cuban cigar factory and began offering the cigars to customers of his recently-established Cuban banking business. Of course, the cigars now exist in two forms, as the brand’s owners during the Cuban Revolution—Alonso Menéndez and José Manuel Pepe García—subsequently fled Cuba, eventually re-establishing the brand in the Dominican Republic. Since this point, the non-Cuban H. Upmann brand has expanded far beyond the traditional blend of its Cuban counterpart; including a wide variety of blends that span many strength and flavor profiles and being made in the Dominican Republic, Honduras, and now, Nicaragua! 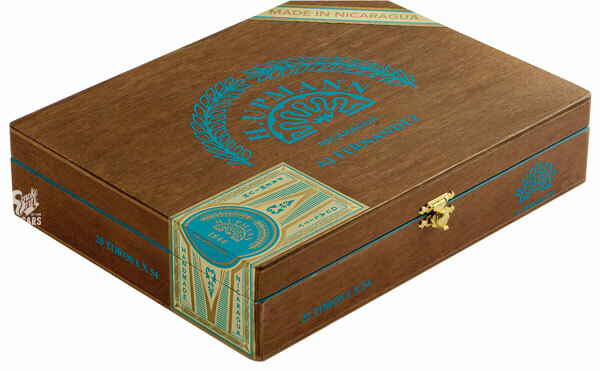 Introducing H. Upmann by AJ Fernandez, the latest incarnation in a new series of vintage blends (including Romeo y Julieta and Montecristo) to be reimagined by the renowned Master Blender A.J. Fernandez and his burgeoning factory in Estelí, Nicaragua. Fernandez has become a household name for cigar fanatics in recent years, known for his innate ability to offer full flavors at shockingly low price points. H. Upmann by AJ Fernandez showcases a rich, Ecuadoran Sumatra wrapper over a Nicaraguan Corojo ’99 binder and filler tobaccos of Nicaragua (Criollo ’98) and Dominican Republic (Piloto Cubano). The unique talents of Fernandez have imparted an oily, complex experience unlike anything offered by H. Upmann to date. A medium-to-full body delivers punchy notes of roasted nuts, cabinet spices, cocoa, and medium-roast coffee.